Marissa and Spenser were married at The Millstone at Adams Pond on October 8, 2016 during Hurricane Matthew. When Marissa and Spenser’s wedding day began, they learned that roads were blocked and their wedding venue had lost power. But despite Hurricane Matthew, Marissa and Spenser’s day was absolutely amazing and they definitely have a unique wedding story to tell with wonderful memories! I could not imagine a more gracious and calm couple, who were absolutely thrilled to be married and starting their life together. They also had an amazing team of vendors who made the whole day come together perfectly. One unique part of their wedding ceremony that I just loved is that they planted a tree together, each adding dirt from their home and watering it together. 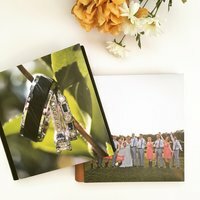 I so excited to share a few of my favorites from this special day!